Seniors, savers, baby boomers and retirees are constantly bombarded with financial information written by those wishing to sell their products or services. 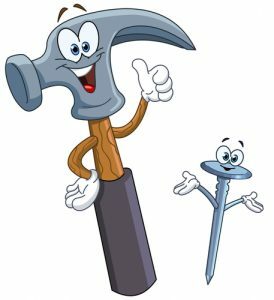 The readers are prospective nails; and the authors tout their particular hammer as the best solution to your financial challenges. 2. If a person is familiar with a certain, single subject, or has with them a certain, single instrument, they may have a confirmation bias to believe that it is the answer to/involved in everything. For several years I attended the Orlando Money Show visiting booths looking to get educated. What I learned is not what the vendors hoped for. The large mutual fund companies had a booth populated by young people with freshly printed degrees. 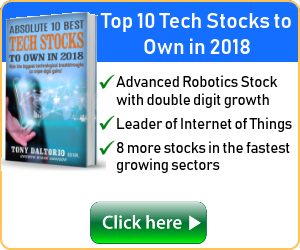 I explained I was a do-it-yourself investor looking for ideas. They would all go into their pitch about their “family” of mutual funds. Turn over my life savings and their highly sophisticated computer would allocate my money into their various funds – I would be well diversified and safe. When I asked about how they protect retirees from inflation they all gave the wrong answer – Treasury Inflation Protected Securities (TIPS). 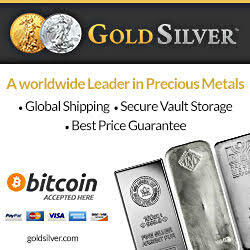 If you want to have some fun, ask them about how to invest in gold! They had little understanding of the big picture from the perspective of a retiree trying to preserve capital. I went into booths from insurance companies offering annuities. 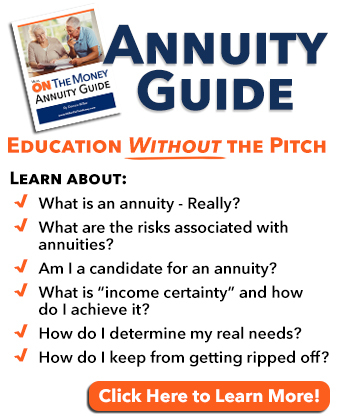 Many emphasized annuities tied to various indexes with projections of how much money I could make – depending on investment performance. I believe you don’t buy an annuity based on hype – you buy it for the contractual guarantees only. I walked into booths offering great computer stock trading systems. They tout the fact that smart traders can beat the indexes using their tools. My biggest surprise came when I visited booths with licensed Certified Financial Planners. They go through some stringent testing to earn their certification. 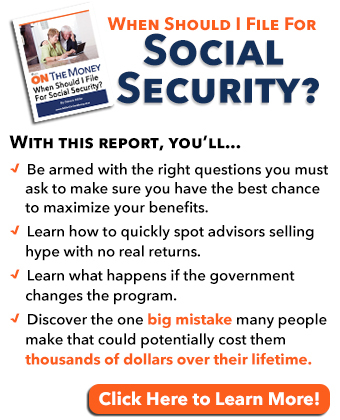 I asked many about when you should file for social security. I asked about investing in gold and inflation protection. I was very disappointed in their responses. Some understood the big picture but many did not. Reverse mortgages; those who tout them believe they are the best solution for retirees. It’s not just the Money Show. We dumped Bank of America, tired of continually being hassled to buy CD’s every time we made a deposit. Once they teamed up with Merrill Lynch it was awful. Individual stocks, mutual funds, ETF’s, insurance, annuities, CD’s and reverse mortgages may have their place in a diversified portfolio. Standing alone, each comes with a risk that leaves the nest egg vulnerable. Everyone was an expert on their product and industry, however when I inquired about the big picture, most struggled. They had their hammer and knew how to use it! When I spoke with Certified Financial Planners, who are trained to see the big picture, I learned some are better than others. In time, I realized how right he was. What galls me is the amount of misleading information from companies pushing their products. How do individual investors become educated and find good, honest sources of information – particularly sources that really understand the big picture? Shortly after I married Jo, I became responsible for looking after her mother’s (affectionately called grandma) financial affairs. It was luck that our brokerage account was assigned to Mary Ann (fictitious name), a seasoned veteran at the brokerage firm. Mary Ann was a good teacher; together we got grandma’s investments in order to everyone’s satisfaction. It wasn’t until we deposited a check that Mary Ann learned grandma held interest in a family farm. A few days later she phoned asking about the farm. Had grandma died at that moment, the estate taxes would have been so large, Jo and her sister would have had to write a check to the government, above and beyond what they would inherit from her brokerage account. The farm would have to have been sold to pay the taxes. We quickly bought a life insurance policy to prevent that from happening. I asked Mary Ann what made her call me. She was the voice of experience, having seen that situation many times before. I asked if most brokers would do that. She grinned and suggested I look around the office. Most of the brokers were young. The employee parking lot was full of leased starter BMW’s. This was during the Internet boom and most of the young brokers were encouraging their clients to regularly trade so they could earn commissions to make the payments. Mary Ann made her point without directly answering my question. Mary Ann was also an educator and mentor. When she retired, I embarked on my do-it-yourself journey hoping she had taught me enough to survive. The Internet bubble burst, online brokers came on the scene and most of the young hotshots are now gone. That means they have to put the client first, ahead of their best interests. If they don’t they could be sued. The difference is this. Let’s assume an appropriate investment for a client would be a government bond fund. An adviser held to the fiduciary standard, must pick the BEST solution for their client. A stockbroker can choose any suitable bond fund – and could easily pick the one paying them the highest commission. In 2016 the Obama administration issued a regulation that required all advisers to be held to the same higher standard. The rules were scheduled to go into effect in 2017. 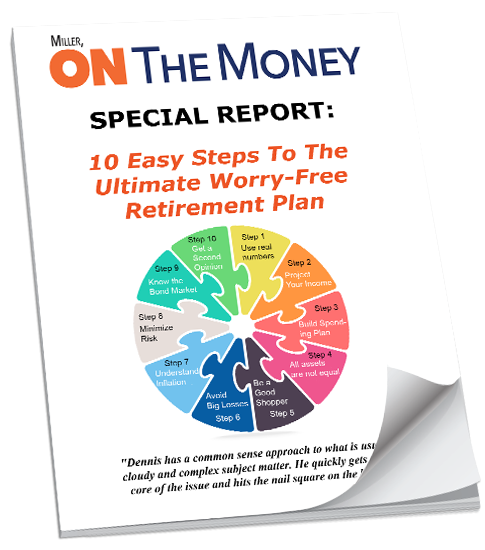 Mary Ann was a stockbroker and lived her life to the fiduciary standard. I saw her recommend not using her own company-sponsored funds, confiding the fees were much too high. I asked why she did that. Young stockbrokers had a guaranteed salary and pressured to sell their company sponsored products, with quotas to meet. Successful brokers build a base, become independent and paid on commission – selling what they feel is best for their client. I asked how brokers get to that point. Her response was simple, “Always do what is right for your client – that is how you build your business.” Some of her clients had been with her for decades. I’m sure there are some CFP’s who may have bent the rules a time or two – you can’t legislate ethics. How do you keep from getting nailed? Find advisers who will take the time to educate you; build up a trust. Talk to a lot of experts. Assemble information from many sources. Record your favorite TV shows and fast forward through the commercials. That frees up time to read educational material daily. Ask advisers the hard questions about inflation, stop losses and diversification. Ask “What if?” questions and press for logical, understandable answers. Don’t settle for any adviser on their learner’s permit. Talk about the big picture, how investments should fit together. You will quickly learn if they “get it”. Trust your instincts. If you feel uncomfortable, pushed or bullied, keep looking for another adviser. Look for a licensed, experienced adviser who understands the big picture – and couples those skills with a moral compass of doing what is right for their clients. While the adviser may have a hammer, and you may look like a nail, don’t behave like one. Take the responsibility for self-education. It’s the job of the salesperson to educate the client to the point they understand and are comfortable. There are good ones available, don’t settle for anything less. Confirmation bias and inappropriate application is not limited to investing. In south Florida I had a pain in my lower jaw and visited a walk in dentist. An X-Ray was taken and I was diagnosed with an infected tooth due to a cracked root. It needed to be immediately extracted and I would need an implant. As my grandson’s graduation dinner was a few hours away, I declined the treatment. My daughter works for an Indiana dentist, we are staying for a month, better to get it done there. We emailed the x-ray to Dr. Nicholas Volz, in Mt. Vernon, IN. He would have to refer me to an oral surgeon. He confirmed the x-ray looked like the root was cracked. When I explained my symptoms to Dr. Volz he was much more thorough in his examination. He saw no infection and asked to see an x-ray that was taken last year. He doubted my issues were dental related. Bottom line was this. When he looked at the earlier x-ray it confirmed his suspicion, the tooth was fine. The first dentist looked at one x-ray, ignored other data that did not correlate with her confirmation bias and made a diagnosis. She had a hammer and I looked like a nail. I’d hope the emergency dentist was only guilty of confirmation bias; however it is a good example of my earlier point – you can’t legislate ethics! My problem was diagnosed as an inflamed nerve, proper medication and 48 hours later all symptoms have gone away. Dennis, I’ve been following you since you were part of the Casey crew. This is a fantastic article, and I love your perspective. Not being licensed is a real strength because then you can truly represent the consumer viewpoint, without any of the surprising constraints you’d be under as a licensed professional. Not being licensed actually gives you license to tell it like it is, if that makes sense. So thank you for sharing. I’ve never been to any of these money shows, so it was interesting to hear about your experience. Thank you very much for the nice comments. I never looked at it that way before, being free to share my feelings and reasons why is a good thing.